Increasingly, pregnant women and new parents are looking for natural alternatives. Although conventional medicine can be helpful in certain cases, natural alternatives like Essential Oil Therapy can prove to be just as effective, if not more so, for common ailments associated with childbirth and parenting. Here are just a few ways Essential Oil Therapy can help with a more natural pregnancy and childbirth. The essential oils of peppermint, chamomile or ginger can be effective in relieving the nausea associated with morning sickness. Ginger has been found to be more effective than vitamin B6 for relieving the severity of nausea, and is just as effective for decreasing the number of episodes.3 Ginger was also found to be as effective as dimenhydrinate in treating nausea and vomiting during pregnancy.4 Pieces of dried ginger can be chewed or the capsules taken internally. Peppermint and chamomile tea can both ease nausea. Simply inhaling peppermint and ginger essential oils can ease the nausea for many women. A warm bath with a few drops of essential oils added can soothe your sore muscles and help you to relax, which can be very emotionally uplifting. Research has confirmed that the mother’s emotional state affects the child, both pre- and post-natal. Massage yourself, or even better, have a partner massage you to help with sore muscles, relaxation, strengthening the emotional bonds, and help preventing fluid retention in your legs and feet. A resource on how to perform the massage can be found here. For inflammation, acne, and other skin issues, toners with lavender and chamomile hydrosols are soothing and calming to the skin. Many women see changes in their skin and some develop acne during pregnancy, similar to when they were in their teens. The essential oils of neroli (Citrus aurantium) and lavender (Lavandula angustifolia) can be used to help with fear and anxiety during your labor.6 If you have a long labor and fatigue has set in, the essential oils of peppermint (mentha piperita) and sage (salvia officinalis) can be used for energy or alertness.7 Also during a long labor, misting your face with the hydrosols of lavender, neroli, or rose (rosa damascena) will refresh you. Use any hydrosol that you enjoy. For women who have had a cesarean section, the essential oil of helichrysum (helichrysum italicum) has shown amazing results for skin regeneration and healing.10 There are a number of nutrient rich and essential oils to help heal and decrease scar tissue, such as calendula (calendula officinalis) infused olive or sunflower oil.11 These oils can also helps with the healing of wounds, old and new scars, and stretch marks. 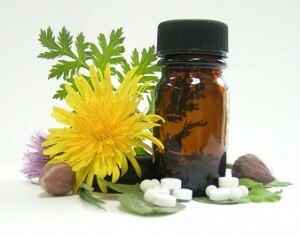 Michelle Reynolds is a Certified Aromatherapy Health Professional with Aromatic Health. Her goal is to educate others about the health benefits of essential oils and hydrosols. The term aromatherapy is misleading, and Michelle takes a more clinical approach to her practice. Her focus is on prenatal/postpartum healing and natural baby/child care. This article has been edited from a previous version published at the Aromatic Health blog. A Consistently Holistic Mama? It’s a Process. Thank you for this info! I have been interested in using essential oils more. Can you imagine the surprise when I found your comment here? I was just about to email you about this page! Glad you had already come across it. See you soon! This is a great article! I’m especially interested in using essential oils and aromatherapy during my birthing time. Thank you for the information. This post is great. I love the smell of essential oils, I’ll be using the headache recipe above for sure. I have been using a facial cleansing oil on my face that contains Clary sage. I made myself so I know the recipe. The bottle is a 3oz bottle. There are 15 drops of Clary sage essential oil in it. And the rest is a variety of carrier oils such as argan, olive and castor. Is there any harm continuing to use the oil of I may be pregnant? If I am pregnant, I am newly pregnant. I just want to ensure safe use. From what I see online it’s not a recommended oil to ingest or undiluted typically, so obviously I’ll try to stay away from that. But what do you think of my current typical oil? What oils are no nos for use during pregnancy. I LOVE essential oils for healthcare! In fact,I stayed home sick from work today and I made me a capsule with a couple of oils in it and his nausea/vomiting ceased very quickly. I also went to the doctor this morning for a follow up on labs and am now able to stop taking my cholesterol medication thanks to the essential oil regimen I have been on. I personally use peppermint essential oils and love them due to the high quality and their potent special blends. Thank you so much for covering this topic! I love when people find out that there is an alternative to tradition medicine. Are there any essential oils that would aid in conception?